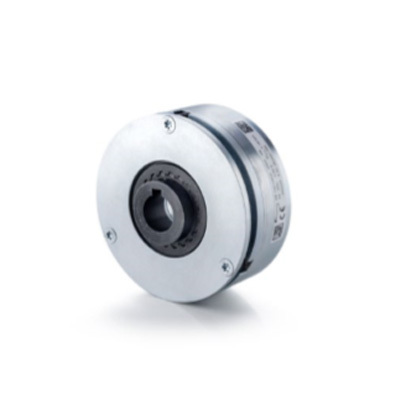 The SERVO Line series of spring-applied brakes has been developed for integration into SERVO motors. The brakes are designed for use as holding brakes with emergency stop function. The spring-applied single-disc brakes in the SERVO Line series are designed to operate dry. They can be mounted to the A-face or B-face end shield inside the SERVO motor. The braking action generated by the compression springs is neutralized by applying the electromagnetic principle involving generation of a magnetic field. The brakes engage in unpowered condition and release when DC voltage is applied. The brakes are equipped with a flange and firmly fastened with screws. Thanks to a specially developed and patented manufacturing method, the rated air gap tolerance can be reduced to a few hundredths of a millimetre, providing enhanced power. Toothed hub/friction disc connection with minimal circumferential backlash. Standard version suitable for flange mounting and face mounting. Note: The general information on specification sheets and the applicable operating instructions must be observed. Specifications subject to change without notice.